« NEW TENNIS SYSTEM MUSIC VIDEO + TAPE UPDATES! After many months of mixing, coordinating and putting all the pieces together — it’s here! Relieve the Babies’ January visit to Los Angeles with this live (!!) 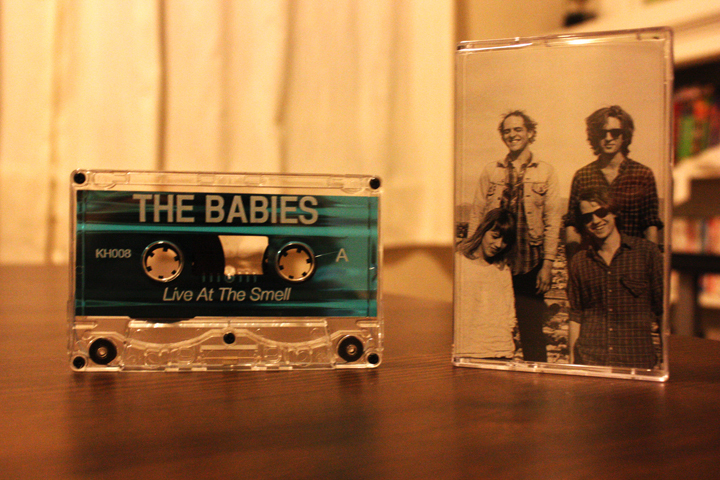 tape, recorded by us at the Smell. There’s only 100 of these in existence, but less than half remain after the presale, so you should act fast! I was in NYC for CMJ last week and brought a bunch of copies to the Babies, so you might be able to grab a copy from them at one of their shows if you’re lucky enough! Special thanks to Cali from Teenage Teardrops for KH008’s rad artwork + many more thanks to Jim Smith at the Smell for letting us record this amazing set in the first place! This entry was posted in TAPES, THE BABIES.